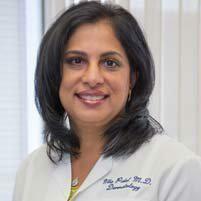 Dr. Nita Patel always appreciates feedback from her valued patients. To date, we’re thrilled to have collected 29 reviews with an average rating of 4.93 out of 5 stars. Please read what others are saying about Dr. Nita Patel below, and as always, we would love to collect your feedback. Prompt and good bedside manner. Lovely facilities. Pleasant receptionist, great assistant, quick treatment time. Dr. Patel was fantastic. She is extremely knowledgeable, took her time explaining everything very carefully, and answered all my questions thoroughly. I would highly recommend her to anyone. Dr. Patel was lovely and very warm! She answered my questions and was very efficient and concise :) Thanks Dr. Patel! I love the on line scheduling system. The staff was friendly and helpful. The doctor spent enough time discussing the problem. My appointment with Dr. Patel was wonderful! I booked my appointment online two just days beforehand with no problems. The visit was quick and seamless, and I could tell she knew what she was talking about. I was very pleased with my experience and would highly recommend anyone Dr. Patel to anyone seeking a quality, dependable dermatologist. Efficient, knowledgeable, great solutions to skin problems, on time and did not keep me waiting. Very professional, competent, courteous staff. Dr. Patel was thorough , exuded an air of confidence in her ability that is reassuring to me as a patient. I would give a higher rating if allowed to Dr. Patel and her staff. Above & beyond! Friendly, professional staff. Dr. Patel is quick, knowledgable & listening to my requests & concerns.